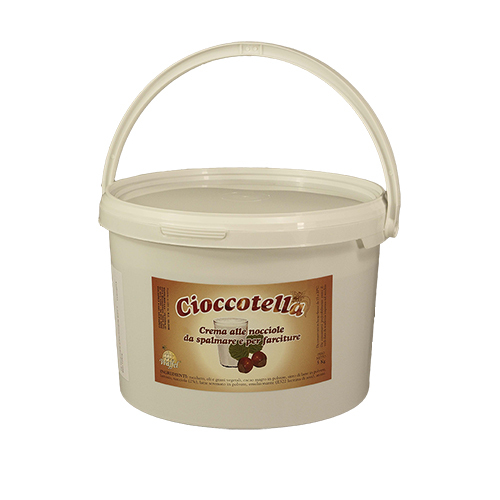 Waffelman Cioccotella is the hazelnut spreadable cream to garnish Waffles, Crêpes and Pancakes. It has been produced since 1987 and sold in 5 kg buckets, shelf life, 12 months. Waffelman Cioccotella is ready to be used directly from its PE packaging or from a cream dispenser. Once the package is opened, close it with the sealing cap and store it at room temperature in a cool, dry place. It has a 12-month shelf-life. Ingredients: Sugar; oil (sunflower) and vegetable fat (palm); low fat cocoa powder; whey powder; Lactose; nuts (2%); skimmed milk powder; emulsifier (E322 soy lecithin); flavours. Contains soy, milk, nuts. 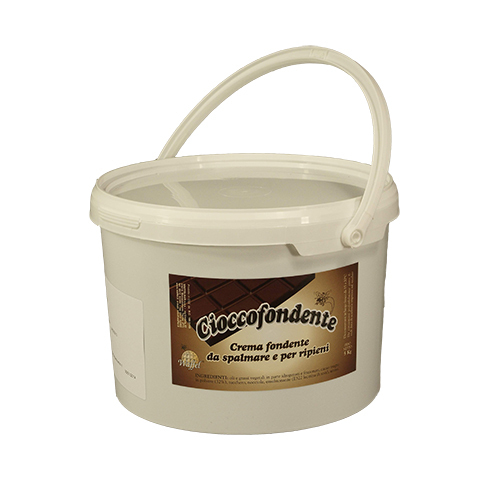 Cioccofondente is the dark chocolate spreadable cream to garnish Waffels, Crêpes and Pancakes. It has been produced since 1987 and sold in 5 kg buckets, shelf life, 12 months. The Waffelman Cioccofondente is ready to be used directly from its PE packaging or from a cream dispenser. Non-hydrogenated vegetable oils (rapeseed, sunflower, mais and SOYA in variable proportions)and fats (palm), low fat cocoa powder (32%), sugar NUTS, emulsifier (E322 SOYA lecithin), flavours (vanillin).